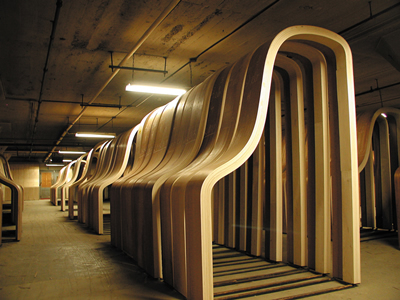 The full-length documentary, Note by Note, is a fascinating account of the yearlong process of building one Steinway grand piano, Number L1037, starting with lumber and ending with a unique, complex concert grand. Since the late 1800s, in an ordinary looking factory in Astoria, Queens, five and one half miles from Carnegie Hall, dedicated blue-collar workers have been hand-building individual pianos using patented and award-winning techniques developed by the Steinway family. Ben Niles, the creator of Note by Note, over the year’s time, watched, learned, videotaped and kibitzed with the talented artisans who take well-deserved pride in constructing the pianos. With captivating portraits of the workers and scenes with prominent pianists, a wonderful soundtrack, and filmed in key Steinway locations—the factory floor and Steinway’s “reserved bank” of concert grand pianos—the film captures superbly the juxtaposition between the artisans who lovingly build the pianos, but are not concert musicians, and the famous jazz and classical pianists who lovingly understand the subtleties of each piano, but cannot build one. Since a transcript of my interview with Ben Niles, Note by Note’s director and producer, follows this review and explores many aspects of this documentary and its creation, let me just say that Note by Note is an engrossing and captivating film that makes the process of crafting a piano and the people involved come alive.